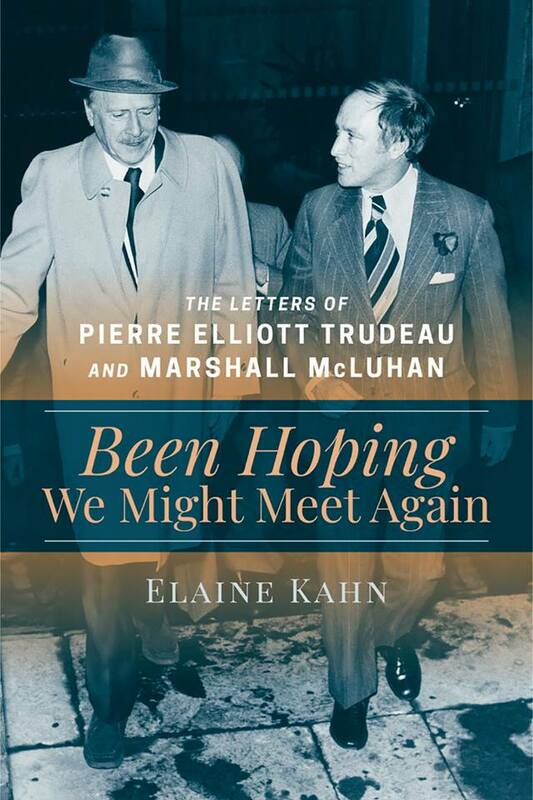 This book features the edited and annotated complete correspondence between two intellectual giants of the 20th century — Pierre Elliott Trudeau and Marshall McLuhan — from the moment of Trudeau’s election as prime minister of Canada in 1968 to McLuhan’s death in 1980. In the letters, the two men — both serious Catholics — delve into contemporary issues such as changes wrought by digital technology, the creation of a global village, the impact of mass media on culture and politics, faith and racial identity. McLuhan, the media guru and coiner of phrases such as “the media is the message” and “global village” became a good friend and adviser to Canada’s charismatic and cerebral prime minister during the turbulent 60s and 70s. The letters demonstrate an openness to change and human diversity that is an antidote to today’s reign of fear of the stranger. • Will appeal to history and media buffs, and those interested in the intersection of faith and culture. Foreward by Paolo Granata, Book & Media Studies, St. Michael’s College, University of Toronto. Elaine Kahn grew up in the Toronto area during the 1960s and 1970s. She was in the 10th grade when Trudeau became prime minister in 1968 and was, like so many of her generation, enthralled. She also became fascinated by McLuhan’s work in mass media. She did her undergraduate studies at the University of Toronto and became a journalist, writing for a short time for the Toronto Star and various regional newspapers. She moved to the United States with her husband, a rabbi, and completed her doctorate at Rutgers. Published by Novalis Publishing, Toronto. Publication in February or March, 2019. I’ve long thought Trudeau Sr’s and McLuhan’s correspondence would make a great book. Thrilled to hear it’s in the works.